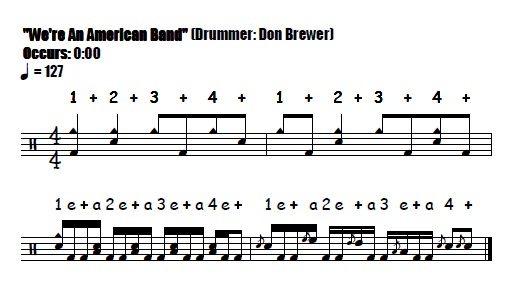 The Cowbell based drum intro from the song “We’re An American Band” by Grand Funk Railroad is just a blast to play. Don Brewer not only has a great groove but he really knows how to kick a song off! 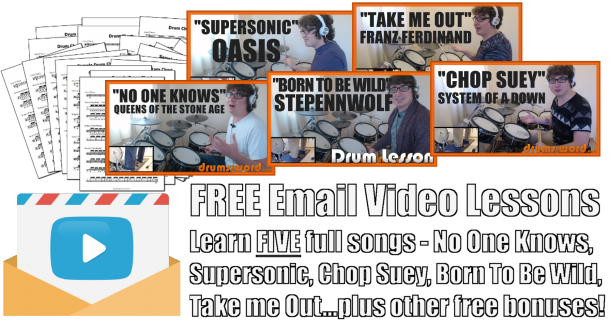 This free video drum lesson teaches you how to play all four bars of the intro, including the cool displaced Cowbell drum beat as well as super fast bass/tom drum fill.